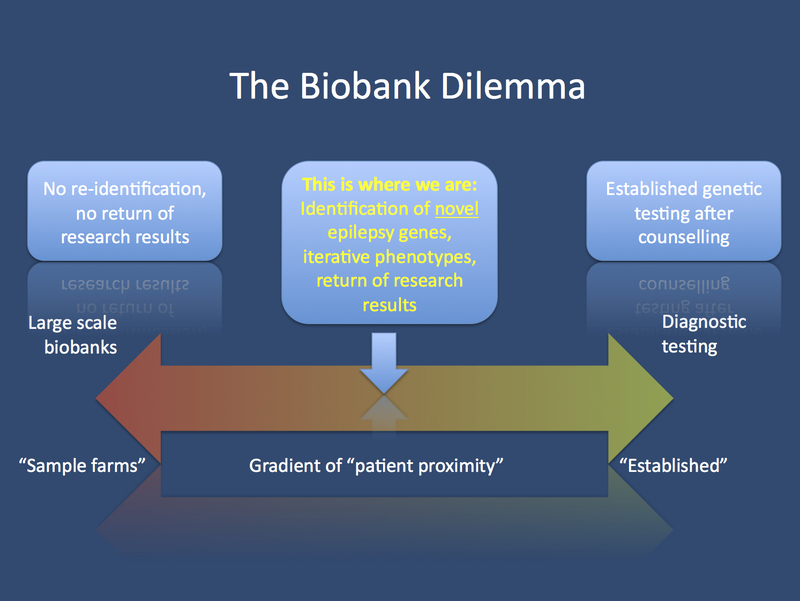 The spectrum of patient proximity in DNA sample collections, reaching from diagnostic testing to large-scale anonymous biobanks. The dilemma for epilepsy genetics is the fact that we stuck in the middle. We need large sample sizes, but also access to additional clinical information (iterative phenotyping). This balancing act between both well-defined extremes has difficulties attracting the necessary large-scale funding.